I have an artist friend named Ginny who lives in Denver/ Taos. 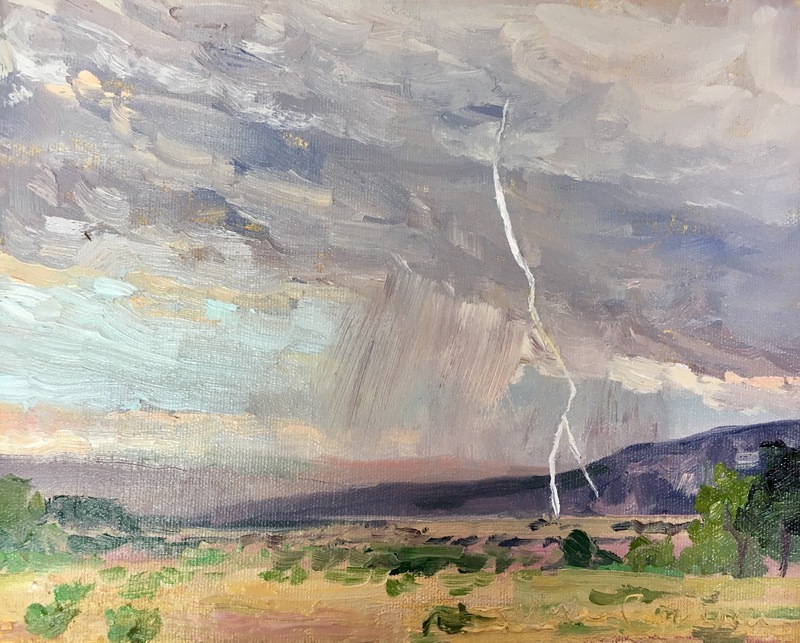 On lucky years our paths cross at Ghost Ranch and we have a chance to paint together. We had a beautiful evening to paint, in addition to a fantastic lightning storm, there was an even more lively ultimate frisbee match on the lawn in front of us. In chairs scattered around were readers reading, old friends reconnecting, and spectators enjoying the show. If the colors seem muted, it was dusk, and…I was contented. I can smell it! Wish we were there. As much as I enjoy vibrant colors, muted storm shades are lovely. Well done.